While I was tiding my bookshelves, this morning I came across four more books for the summer reading pile. Three by Danielle Steel and the other by Jojo Moyes. Jojo Moyes, After You is the sequel to Me Before You. Set eighteen months, later, Lou Clark is trying to get on with her life. I have started this and am finding it slow. Will let you know how I go, with it. Danielle Steel, is one author I enjoy reading and these three promise many long hours of reading pleasure. Country; 'Life can take you anywhere if you seize they day...' The story is about a widow and a country music megastar and if she is willing to take a risk. Well I made it, my 400th post on my Blogiversary. I'm new to this but want to share family information and meet other family members. Looking for the names of Abberton, Magill, Sigrist. These are just some of the names I'm researching. Will post more once I'm settled in. Well I don't think I'm 'new' to this any more! I'm still searching for the same surnames, with a few more thrown into the mix. I have caught up with some cousins, found new ones but the biggest thing has been meeting fellow Bloggers. Jill Ball, has helped me re-design the blog and given encouragement. Thank you so much. 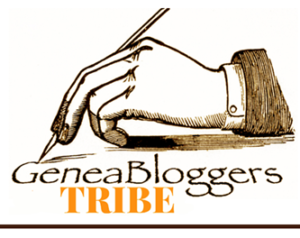 Friendships with Helen Smith, Alona Tester, Fran Kitto, Pauline Cass, to name just a few, inspire me to lift my blogging game. Wearing Blogger beads, at various conferences, creates new opportunities to talk about blogging and meet new people. My weekend started lunchtime on Friday, with the arrival of our daughter, Amanda. After lunch we headed to Vicki's place for fun. Amanda hadn't been able to make it up for Hannah's Baptism, so this was the reason behind the trip. James, always greats us, "Grandma, Granddad" but on Friday it was "Auntie Manda" as he was thrilled to see her. Hannah was a little shy but was soon cuddling her aunt. An afternoon of family time and dinner was a lovely way to start the weekend. Saturday, saw the trip to the toy shop and then we girls had 'lunch' at Max Bremmer, yum! When we got back to Vicki's place, James greeted Amanda with the words, "you came back" and a huge hug. He is such a loving little boy. Paul and I have enjoyed our time with her and interesting conversations, late into the night, were great. Heading into the Christmas and holiday season, when the cricket is the only 'good' thing on the tellie, I start a reading pile. Throughout the year I usually have two or three books on the go, at once, much like a quilter. I have two of those planned as well. These four books are the start of my reading list and I know there will be one under the Christmas tree. Debbie Macomber is a long time favourite of mine and I will often re-read different ones. This book, 'A Girls Guide to Moving On' is a stand alone title. The blurb says, 'When Leanne and her daughter-in-law Nichole went through divorces at the same time, they compiled a list to help them move on from the heartbreak.' Should be a fun read. Earlier in 2016 Picton suffered floods and a large number of businesses where inundated. The King George Pub, where I have enjoyed lunch, was still closed today, as were several other places. James had his birthday voucher to spend and with his Aunts help he found this game. It is similar to UNO but if you happen to press the fart button, one to many times, it makes fart noises. Hilarious. He couldn't stop laughing. He was able play the game and was soon understanding the various cards. While they were bust shopping, I went to a quilt shop. Picton Patchwork is near Maccas but if you were to blink, you would miss the 'Golden Arch', as it is so small. I mentioned in my post on visiting State Records, that I had looked at Probate Records and I thought that some might not know how to look for them or what was available. One of the things Gail mentioned on Wednesday was the Deceased Estate Files, something I hadn't heard of. Created by the Stamp Duties Office, for every individual who died leaving property or other assets, which were subject to death duties. These could include the will, list of assets and their value, balance sheets of businesses and certificates of valuation. They cover from 1880 to 1958. I'm going to search for the ones I know and see what I find, if anything. Will keep you posted. As I had mentioned Elsie Minnie Sigrist in the State Archives post, I thought I'd tell you about her. Not much bit there is so much more. 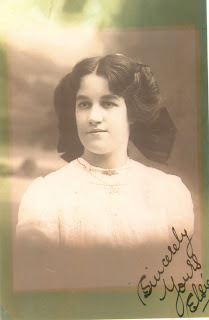 Elsie was the daughter of Edgar Bird Ironside and Maude Kidney. She had a sister Violet and a brother Norman. In April 1919 she married Frederick Charles Sigrist. They were blessed with two daughters, Edna born 1920 and Joan born 1929. Sadly Frederick died when Joan was just six months old. I think this photo was taken, while they were dating. Bye for now, Lilian. Yesterday a group, from the Bankstown Family History Group. met at Kingswood for a day of research and a tour behind the scenes. Once our visitors passes were issued, (I had organised this in advance), we were able to start our research. I had ordered three probate packets, before hand and they were waiting for me. What genealogy magazines do you read? Do you start at the beginning and read cover to cover or find your favourites and start with them? Below is a selection of what I’ve read, in the past month. First up is Inside History, to me still the best Australian magazine around. I love Cassie Mercer’s new updated photo, she changed it in issue 35. Issue 36 is full of interesting articles. Anne Sherman discusses tracing your Welsh ancestors. I don’t have any but it was a really interesting read. There is an article on Paul Ham’s new book, Passchendaele, Requiem For Doomed Youth. (Random House, $45). Reviews of four new family history apps, has me thinking about adding one to my iPad. Called Scanbot, it uses you device’s camera. Just the thing for archives visits! What’s new online has what records have been added to Ancestry, FindMyPast etc. Why 21 November? Well that is my the date I started my blog and I have 390 posts now. Will I make it? Don’t know, watch this space. Today I’m taking it easy as I’ve had a very sore ankle for ages and am finding it hard to walk on it. Annoyed because I prefer to walk, even though I have a car. We aren’t far from the shops, parking is difficult, so it makes sense to walk. Didn’t today. Been searching Ancestry, FindMyPast, FamilySearch, Trove and the Ryerson Index for any interesting additions or new records. I've had a few interesting bits pop-up and they will give me some fun searching further. Might even become blog posts. Following on from my October post about looking for court records, I thought I'd tell you what has been going on. On out last Monday in Adelaide, I filled in the court forms, purchased both an envelope and money order and posted them off, to Courts Administration Authority and sat back to wait. They have to respond, within 30 days. A thick letter was waiting for me, on 25th October, from them, with my money order attached. They didn't have any records and were returning my money, maybe I could try the Elizabeth Magistrates Court. Well I emailed them on 29th October and by the 31st had my reply. Nothing! That is a shame but these things happen. While this was going on I emailed the Clare Historical Society, explaining what I had done and could they find anything else. I had a lovely email back saying, 'as I had done so much, they had nothing left to do and couldn't help me.' Another dead-end. I spent the night in the city and was up early for a lovely walk through the Royal Botanical Gardens. Something that you don't usually see, Phillip Street, looking back towards Elizabeth Street, with NO traffic! It was sooooooo quiet. GeniAus after the RootsTech 2015 Commonwealth Dinner. It was freezing, standing at the tram stop, after dinner. Jill, Sharn and myself were the shortest. Back row Fran, Rosemary, Graeme and Geoff. Looking forward to catching up in 2017. Blue Lemon, maybe???? The sky was a beautiful blue, the sun was shining and here I was, with around 90 other people, embarking on a weekend of genealogy! 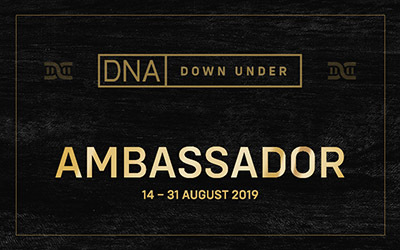 The Society of Australian Genealogists, run these 'Lost In' weekends, most years, either in the Dixson Room, in the Mitchell Library or in country NSW. The last one was a weekend of webinars, several months ago. 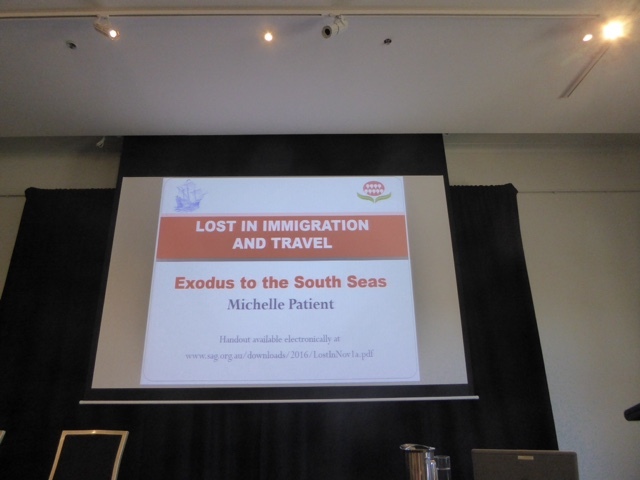 After Martyn Killion welcomed us to the day, our first speaker was Michelle Patient, with the topic, Exodus to the South Seas. 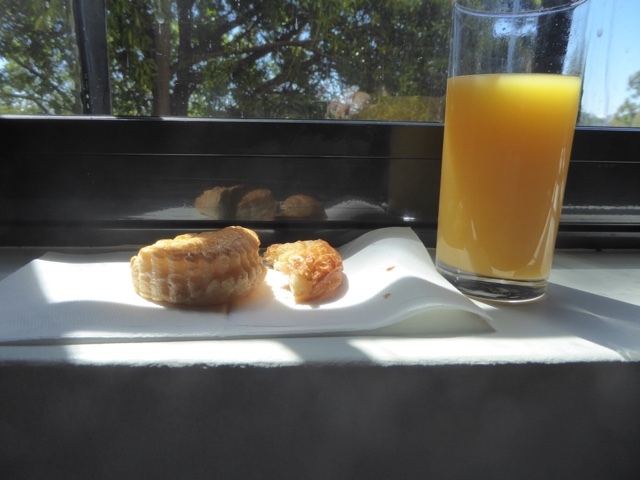 With so much to cover, it was done in two sessions, with morning tea in between. This is Michelle, getting into her talk. I love attending her talks as she presents in an engaging way. This was taken, just before the day began. Jill Ball is in the front.